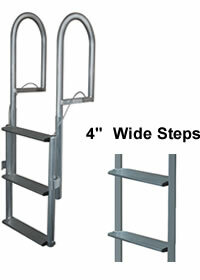 If you're looking for a standard style marine dock ladder then consider a JIF Marine ladder. 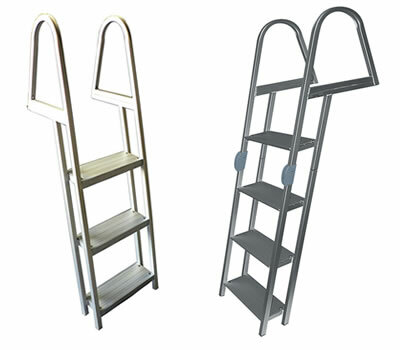 What makes them different is they use a 6005 Anodized aluminum which is stronger and a little more resistant to corrosion. 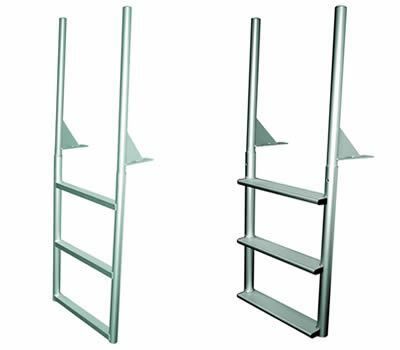 As compared to A1A dock ladders, IDP or other brands JIF Marine makes the best standard angled ladders, straight ladders, swinging ladders, lift ladders and floating dock lift ladders out there. 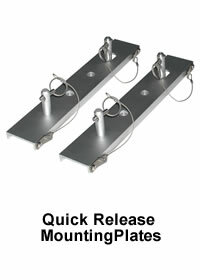 Built from 6005T-5 Anodized Aluminum (22% stronger than 6063 marine grade). 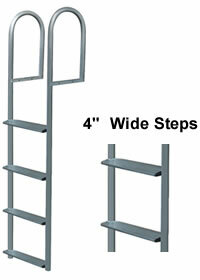 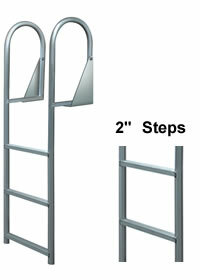 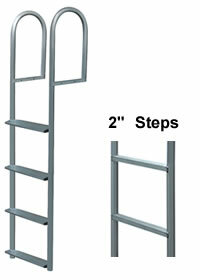 Standard Styles (straight, swing, lift) offered in Standard 2" Wide steps or 4" Wide steps. 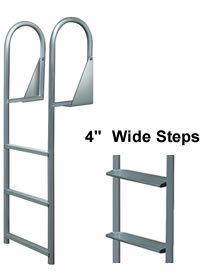 Best in industry 750 lb. 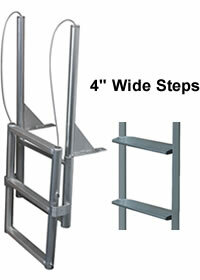 Weight Capacity! 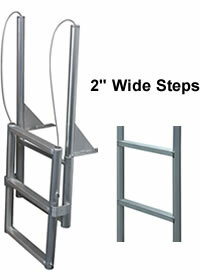 Browse these categories under "JIF Marine Aluminum Dock Ladders"